Thousands of homeowners have recently been left reeling after their properties were battered with fierce winds and heavy rain. The dramatic weather came as the result of a series of storms; Abigail, Barney, Clodah and Desmond, which are the first storms to ever receive an official name from the Met Office. More bad weather is predicted and so addressing leaking roofs and penetrating damp issues in walls is particularly important right now. 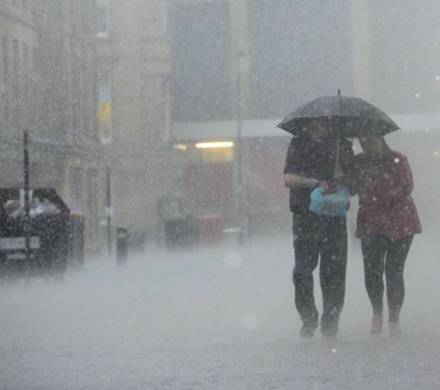 As is often the case with bad weather, Scotland and the North of England bore the brunt of the storms, though all parts of the country were affected to a greater or lesser degree. As if this were not bad enough, further storms are forcast over the Winter months, further adding to the misery. 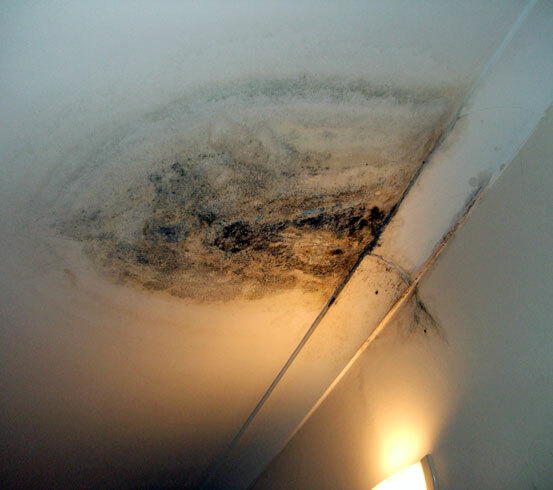 Leaking roofs prevent many challenges for homeowners. They rarely occur at a time which is convenient and they can lead to significant damage to the interior surfaces of homes. Sometimes determining the source of the roof leak can be an even greater challenge. The precise location of the roof leak on the outside of the home never seems to correspond to where the leak shows on the inside of the home. 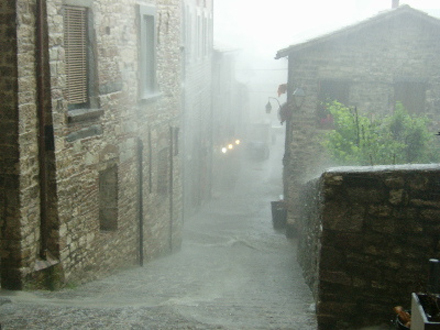 The combination of strong winds and heavy rain can also lead to penetrating damp. As rain is driven against exposed masonry walls by the strong wind, it begins to penetrate and, once the process has begun, further damage happens ever more quickly in a negative feedback loop that could prove extremely costly if left unchecked. 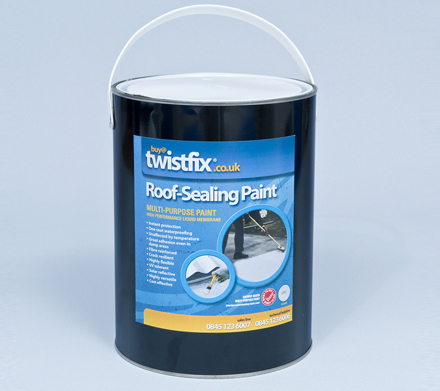 Twistfix supply a number of surface coatings to stop flat-roof leaks and to combat penetrating damp. Protecting walls from driving rain and the penetrating damp it causes is simple when you use Enviroseal Penetrating Damp Treatment, available now from us at the most competitive market price. Act now - when the weather gets really cold, absorbed moisture within masonry will freeze, expanding and widening fissures, before melting again. The new, slightly larger fissure will allow more water in, which will freeze and widen the crack once again. An extremely damaging process, this freeze/thaw cycle must be prevented or, if already begun, immediately intercepted. 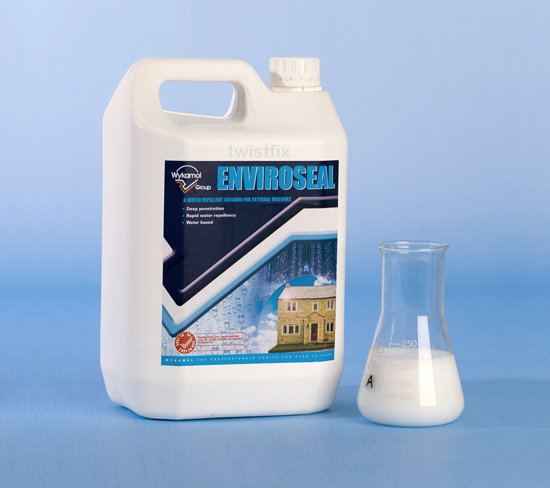 Enviroseal is easily applied using spray, roller or brush and is efficient at creating a silicone/­siloxane water-repellent barrier to prevent moisture ingress. Designed to be air-permeable, allowing the masonry to breathe, it is perfect for most masonry walls including brick, stone and block. Browse our comprehensive collection of surface coatings for damp proofing and weat­her­pro­ofing. You will find a selection of products of professional quality, each guaranteed to help keep your home warm and dry. Twistfix - here for you whatever the weather.